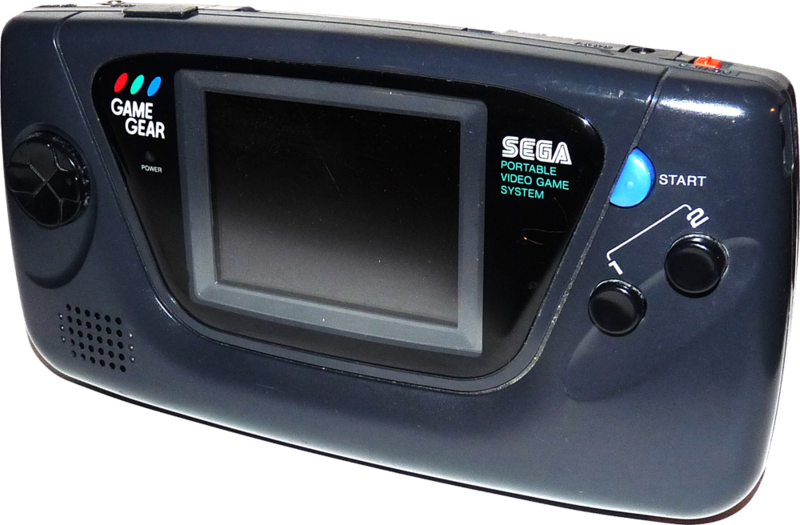 The SEGA Game Gear, SEGA’s answer to the NINTENDO Gameboy. Until the PSP was released, it was the best selling handheld ever sold that was not made by Nintendo. While it never came close the numbers of Gameboys sold, it still has hundreds of games and is a fun little portable system. I never had one of these back in the day, but have several of them currently. 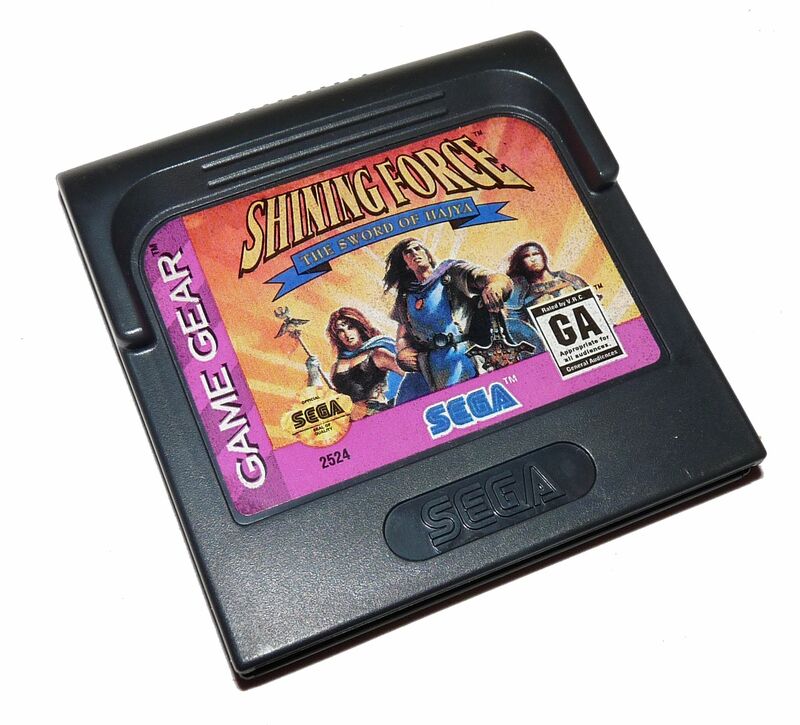 Don’t expect the same sharp screen as the Nomad, much less the DS, but with the Sonic series being well represented on the Game Gear, and a good collection of RPGs, including Shining Force, there are many great games to collect for this system. Not to mention you can slap a Master Gear Converter on this thing and you instantly have a portable Master System, as this machine is basically the same hardware (on a mini scale) as the SEGA Master System. 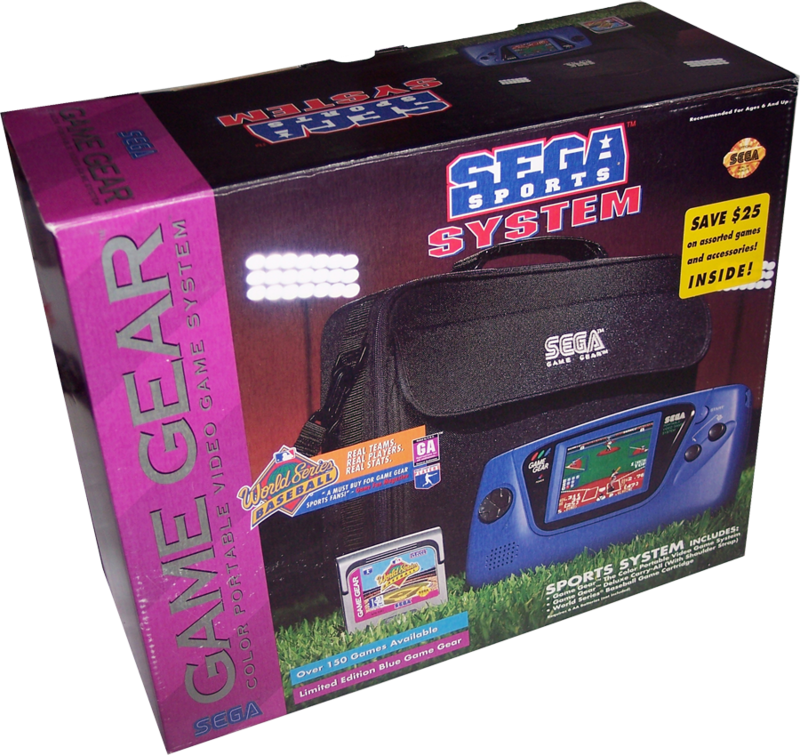 While there were many different Game Gear Packages offered with various carrying bags or pack-in games (Columns was the most common pack-in to counter Nintendo’s Tetris), the unit itself never really changed. 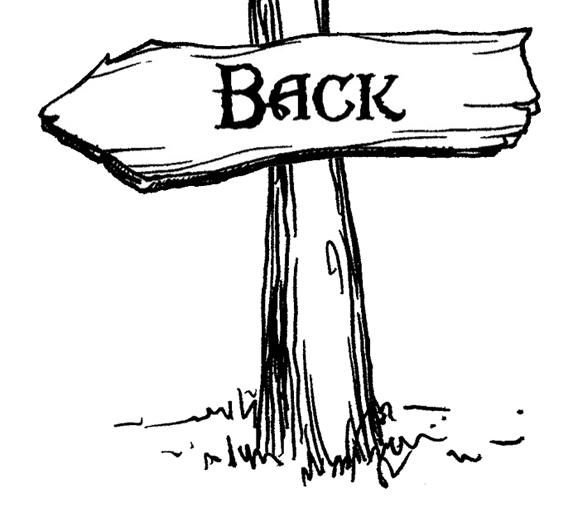 The only different version to speak of was a Sports version, and a couple others that were different only in color. 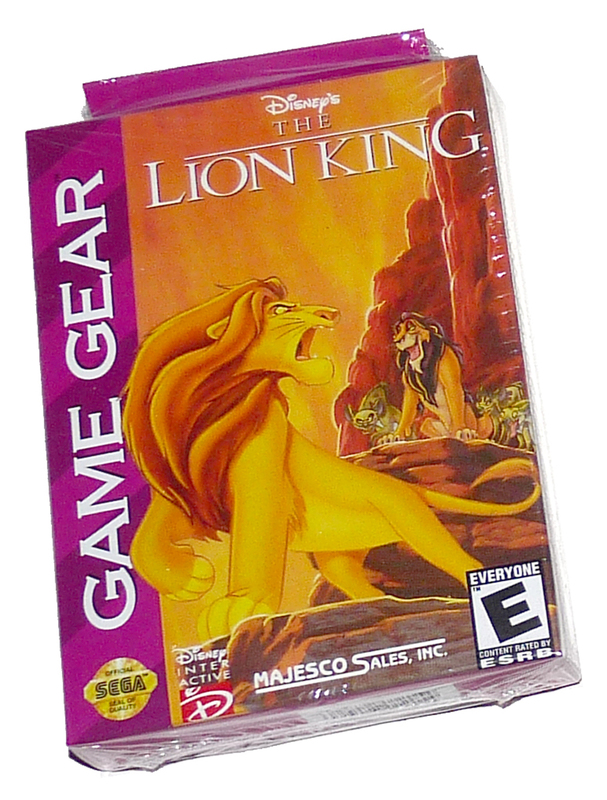 In 2000, Majesco also re-released the Game Gear in a jet black case (with the original being a dark grey). 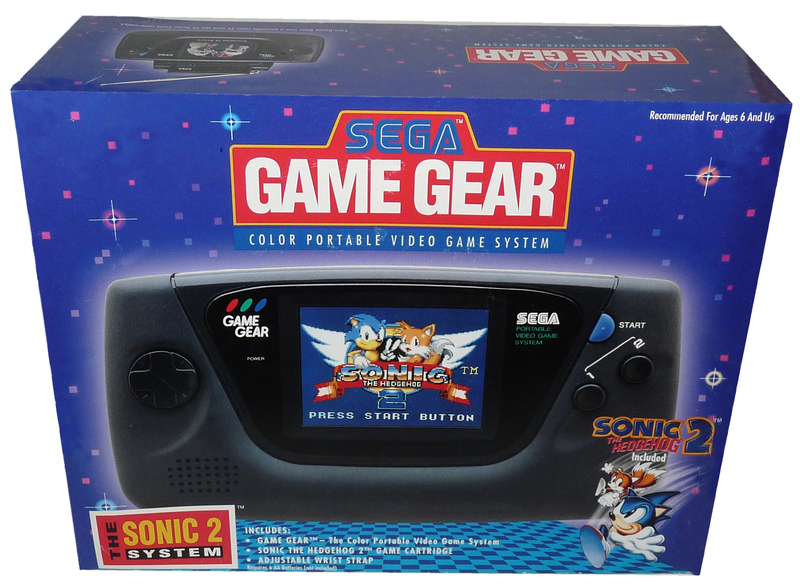 Aside from some special limited edition variations offered in Japan, that’s about it for Game Gear versions. 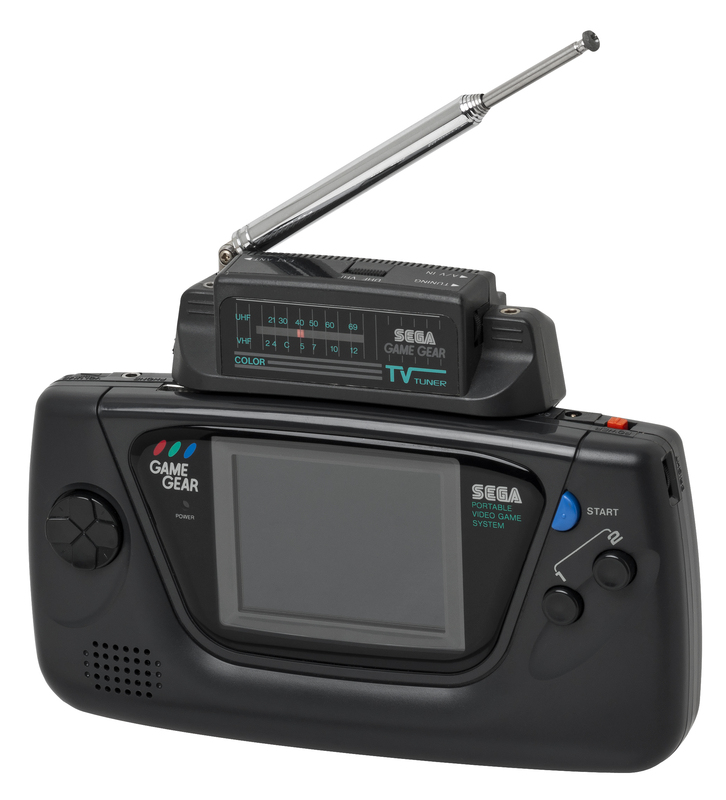 So, since we only really have one real version of the Game Gear as far as the guts are concerned, let’s talk about that! I have had my hands on about 200+ Game Gear units with about 70% having some sort of issue. The most common is loss of sound from the built in speaker. The chip running the sound output seems to be the issue here, not just a blown speaker. However, the headphone jack (which outputs stereo, unlike the built-in speaker) seems to always work regardless, so you can still get audio, if only from headphones. If the audio isn’t the problem, then the video is. The most common issue is in the viewing angle. As the video begins to go on these guys, you can often still see a great picture, but you have to hold the unit at more and more extreme angles. Holding it in a normal position will eventually result in not seeing anything. You may also see ghost images and trails, or just plain fuzzy images. The power inputs seem to hold up better than the rest of the machine. There are two battery compartments on the back of the machine and each holds three AAs for a total of six to run the machine. I have run into some loose AC input ports for plugging it into the wall. Also the covers for the battery packs can get lost. If you are buying one, make sure it comes with both! 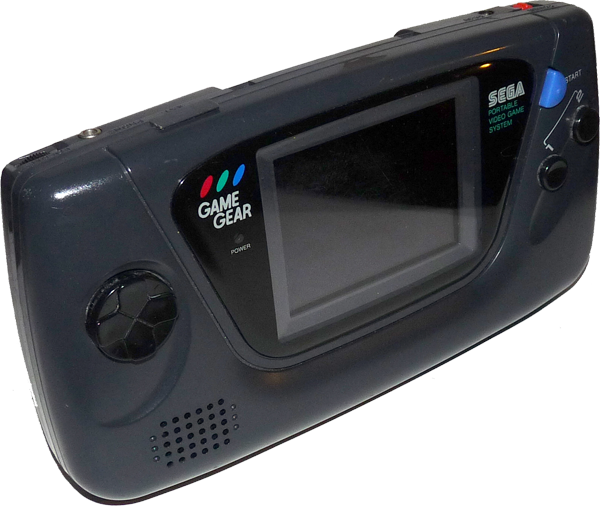 On the face of the SEGA Game Gear you have a standard D-pad, a Start button and A & B action buttons. 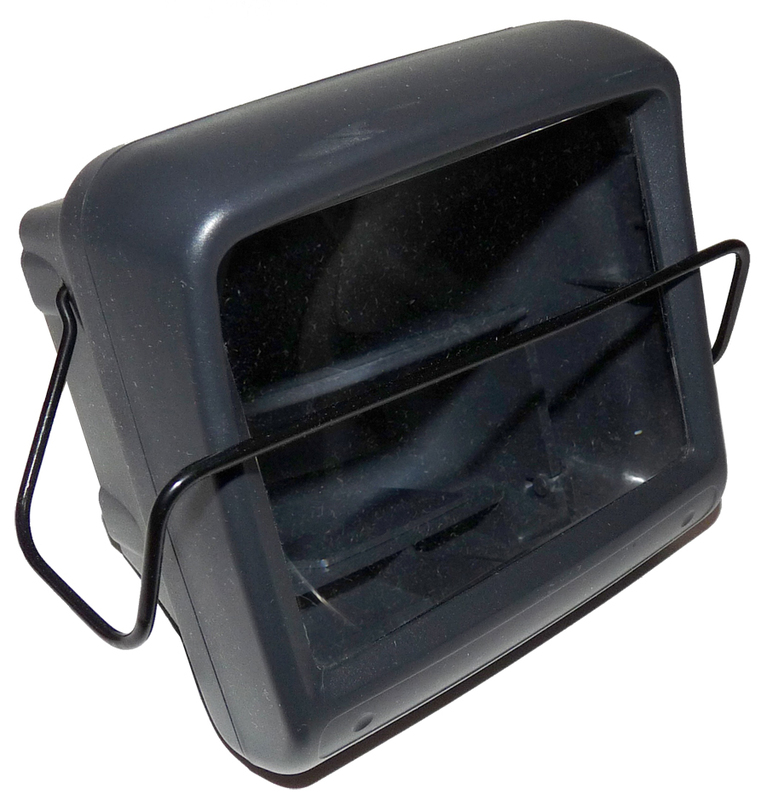 There is a power light located on the left side of the screen and below that to the left is the mono speaker. On the top of the machine we have a headphone jack, a volume control dial. This dial will control the headphone volumn and the system volume when headphones aren’t used. Next to those is an extention port which is used for the Gear-to-Gear link cable, allowing two SEGA Game Gears (with two copies of a game) to play head-to-head. This port came with a little plug for when it wasn’t used. We then have the cartridge slot, the power switch and an AC Power Port which was for the SEGA Power Supply MK-2103-1. 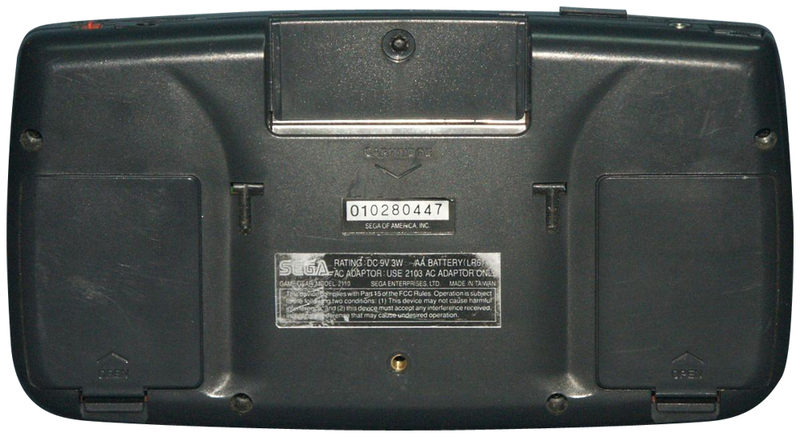 On the back of the SEGA Game Gear are the two battery compartments, located on the left and right sides. There are two battery pack covers, one for each side. These guys are often missing from units and they are contured to each side, so if you look for a replacement make sure you get both sides as they are not interchangable. On the bottom there are two clip areas that are used for the Game Gear Carrying Strap that came with the unit. 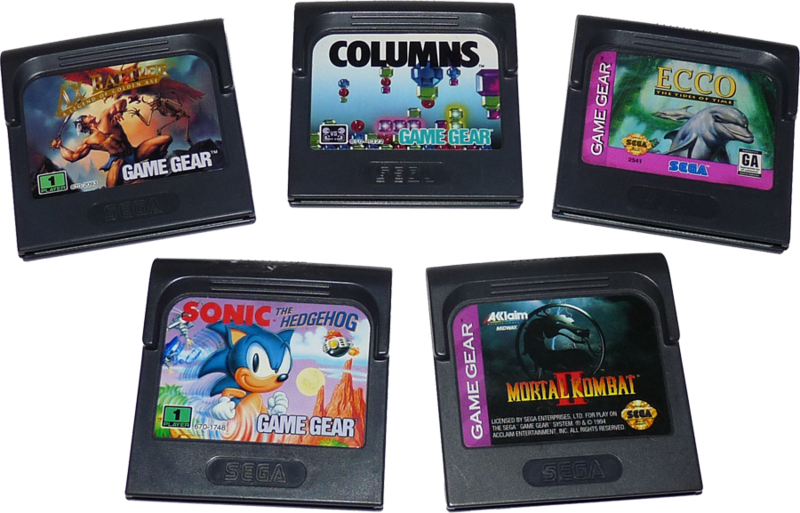 The SEGA Game Gear has a very nice selection of games. You can find most of the SEGA Genesis titles available for the Game Gear including the Sonic series, Streets of Rage, Road Rash, Madden and many more. Also, as the SEGA Game Gear is basically a portable SEGA Master System, you can access and play the entire Master System game library with the addition of the SEGA Master System Converter. 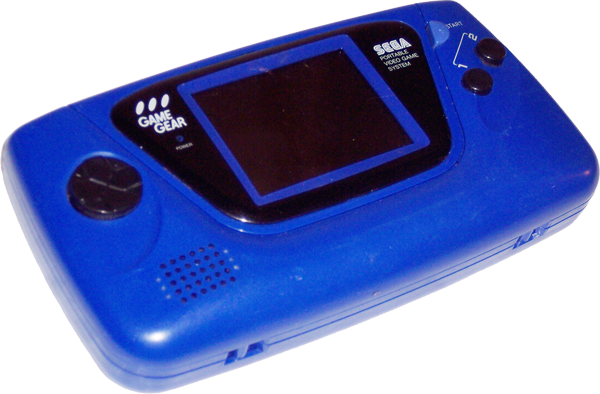 The SEGA Game Gear is a cartridge based system. These little guys came in a cardboard box similar to the later SEGA Genesis boxes but about half the size. You will more often than not find the games without the box and manual. Included with each game was a nice little plastic case that could hold one Game Gear game. These are great and could also make the game easier to store in carrying cases as it added some bulk to each game. The manuals, like the box, are in color for the most part but there are some manuals that were printed in black & white. OK, This one is/was kind of cool. 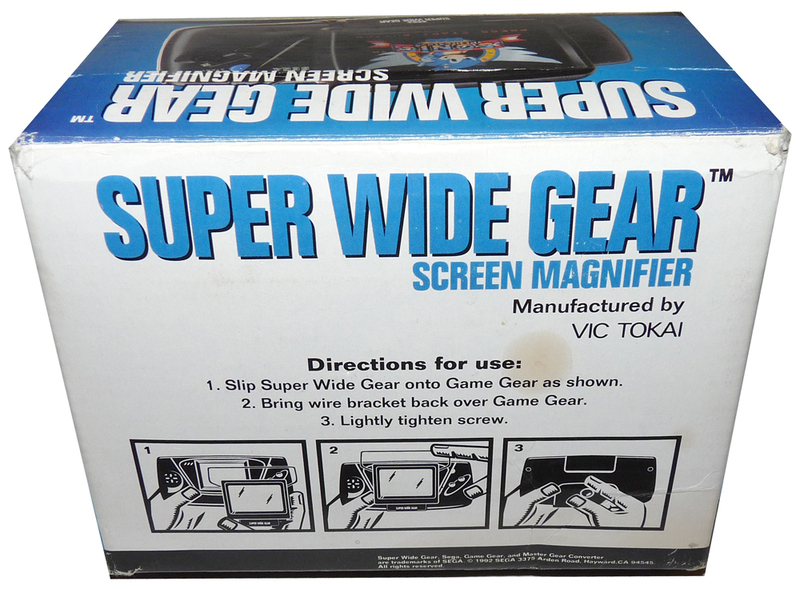 Plug this bad boy into your cartridge slot on the Game Gear and turn it into a portable over-the-air TV! And it actually worked pretty good! Still, the small screen with it’s limited resolution does make for a pretty low quality image. This was designed for 90’s TV technology so you can switch between UHF and VHF, you controlled the channel with the radio-like dial on the left. In addition there is also an AV IN port on this thing, which means you could hook-up a VCR or other external sources. All this is great but moot at this point. You see the tuner is built for an Analog TV Signal, as most all TV stations have switched to digital broadcasts. Meaning there isn’t much use for this accessory anymore other than some crazy modding stuff just for fun. 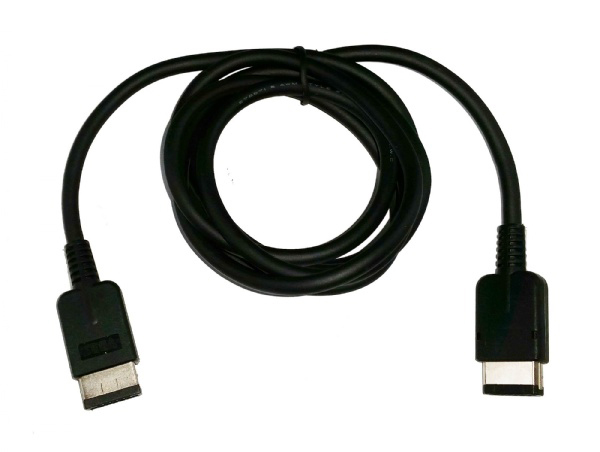 Another standard for portable systems, a cable that can connect two Game Gears together and allow them to play head-to-head. 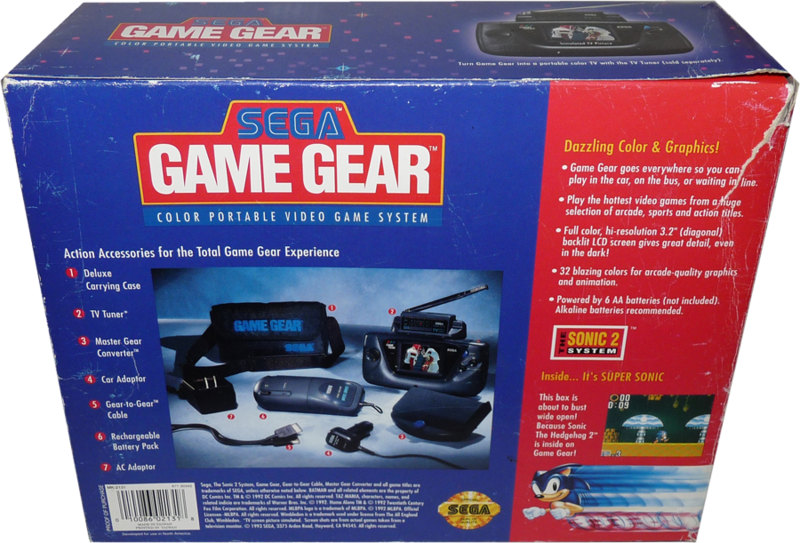 You obviously need two SEGA Game Gears and you need two copies of the game. Fortunately there are lots of games that are compatable with this. Pretty straight forward here. 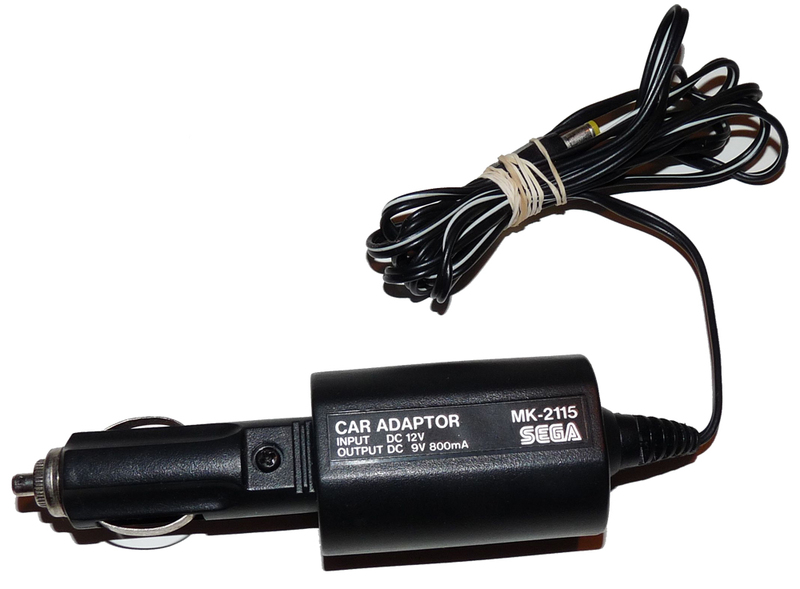 Like most portable systems there was a car adapter available. 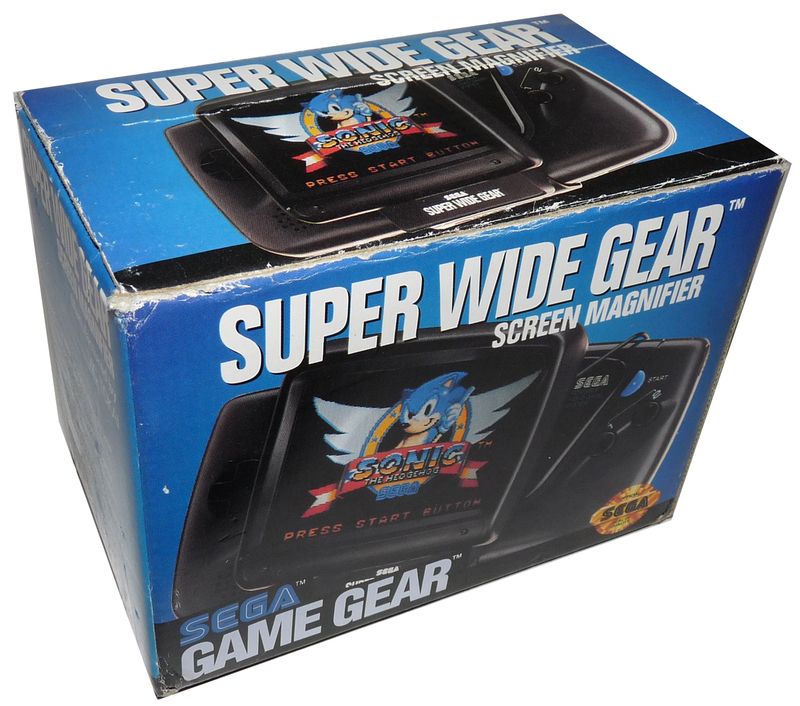 Not a bad item for the SEGA Game Gear and it’s thirst for batteries. Grab this guy and a copy of Shining Force, sit in the backseat and let the wife or significant other make that long drive! 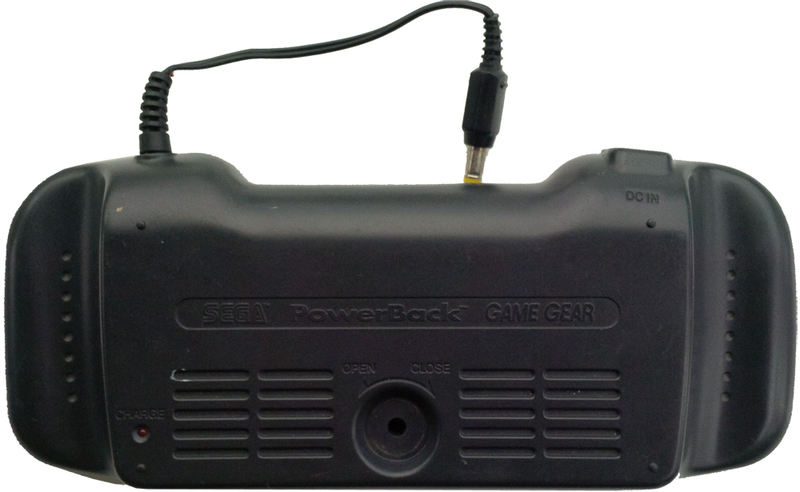 This is a large rechargeable power pack for the SEGA Game Gear. As with any of these old rechargeable batteries many have lost the ability to charge, but they can be modded and upgraded. 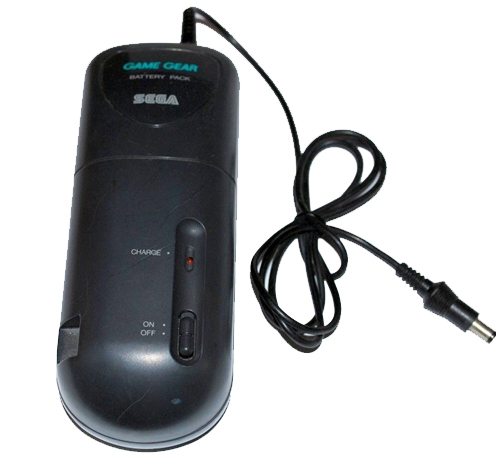 This attached to the back of the Game Gear and would plug into the Power-In port on the Game Gear. 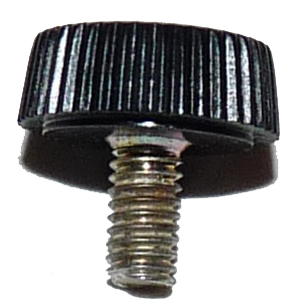 If you find one of these try and get the small screw that helped hold it into place. Strapping a battery to the back of your Game Gear not what you’re looking for? No problem, SEGA had an answer for that. Strap it to your hip! Now you look cool. Same deal here, the rechargeable batteries are probably shot, but these can also be fairly easily retrofitted with new batteries and BAM! You can moonwalk down the street with this baby riding shotgun. That 3.5″ screen too small for you? 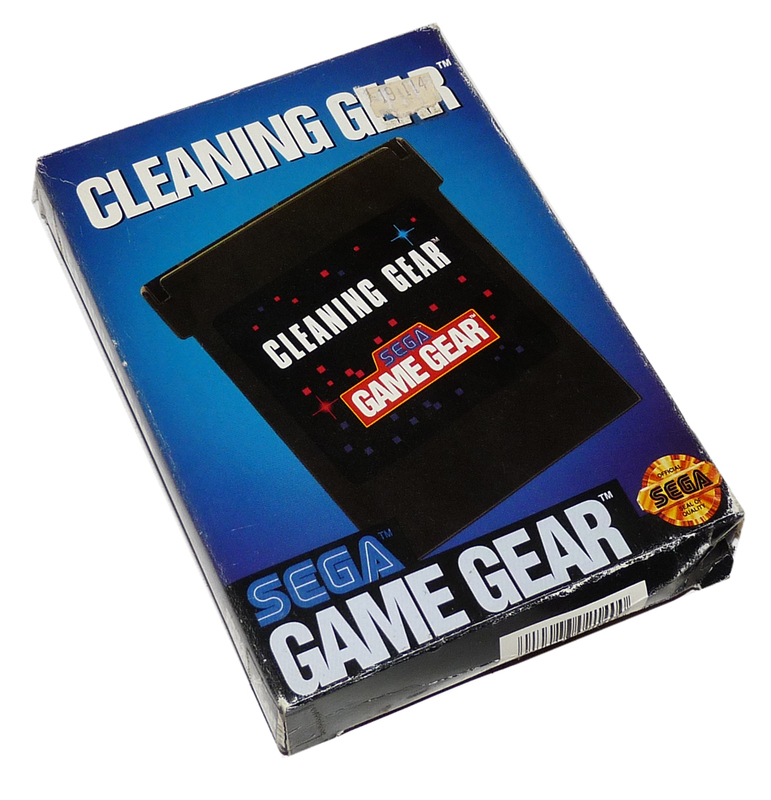 No worries, strap this helmet on the Game Gear and increase the screen size by over 50%! Again, many handhelds had these back in the day. This one works pretty well for a large magnifying glass hovering over the screen. These look like a tall cartridge and were available for almost every cartridge based game system, portable or not. Basically instead of the blade like typical game cartridge, this has a felt covered plate. You moisten the felt with a solution (often packed with the unit) that is really just a rubbing alcohol mixture. You insert the cleaning cart a couple times into the system like it were a game, which will scrub the contacts inside helping remove and grime build up. Cartridge contacts on all systems can build up dirt over time and this can be beneficial. 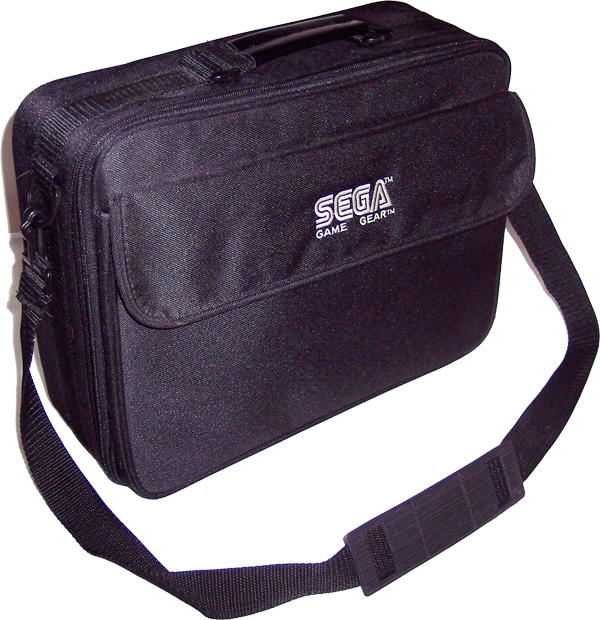 SEGA made some nice carrying cases for the Game Gear with room for lots of games and accessories. You can still find these online and they are a good idea for the collector.